You may find yourself dealing with a bit of an information overload when it comes to the home buying process without the help of a qualified professional. You want to get a great deal without compromising on what you feel is important in a home. A real estate agent can help guide you. 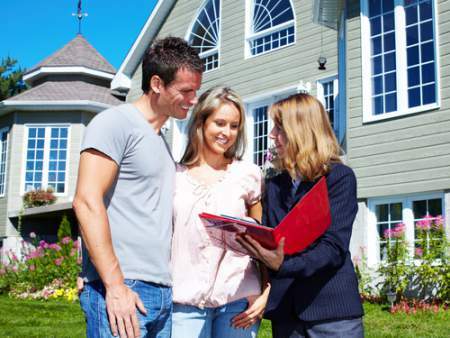 Let’s take a closer look at how to buy a house with a real estate agent. How do I buy a house with a real estate agent? Why do I need a real estate agent to buy a house? Do I pay the commission? How does a real estate agent help me find homes? 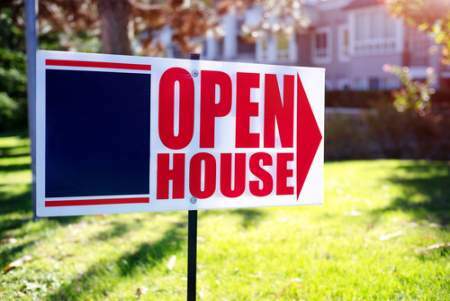 What do I need to know about open houses? How does a real estate agent help negotiate the sale? What questions should I ask a real estate agent? You’ll first want to understand why you need a real estate agent. This understanding will help you find the right agent for your needs. At that point, you’ll know the difference between types of agents and understand how commission works. The real estate agent will help you locate homes that meet your search criteria. After private showings and open houses, you’ll find a home and make an offer. The real estate agent helps with any negotiations that are needed before closing day. A professional real estate agent guides you through the home buying process by using their knowledge and experience. They understand the common pitfalls and complications that can happen along the way, and they do their best to make the experience as stress-free as possible. A buyer’s agent works with home buyers, while a listing agent works with home sellers. Some real estate agents represent both the buyer and the seller, so it’s important to be clear on the difference. You want a real estate agent who is focused on your needs and not compelled to also consider those of the seller. The good news for you as the home buyer is that you don’t pay the commission. The home seller pays the commission. The commission is often split between the listing agent and the buyer’s agent according to the terms in the contract agreement. Real estate agents have access to homes that are active on the market through a listing service. They often have insight on homes that are soon to be listed, and this can give you an edge when looking for homes in a market with a lot of competition. You’ll provide your agent with a list of items you find important when it comes to your home needs. With this knowledge and the target price range in mind, your real estate agent will look for homes to view. There are times when a home seller allows people to come tour the property. This is called an open house. In most cases, your real estate agent will come along to make sure all your questions get answered. It’s a good idea to pass any questions along to your real estate agent and let them get answers from the seller or their agent. Your agent has experience in asking questions in such a way that your interest is protected. There’s nothing quite like that moment when you set your heart on a home. Excitement is in the air as you consider placing an offer. Your real estate agent will help you create an offer that fits the current market standards and meets your budget. You real estate agent will present the offer to the seller’s agent and wait for a response. Once the response is received, you’ll hear from your agent. The seller will either accept the offer, decline the offer, or send back a counteroffer. If a counteroffer is sent back for your review, your real estate agent will meet with you to discuss possible negotiations. If there is a need, your agent will represent you in these negotiations. You won’t need to deal directly with the seller or their agent. Even with the advice from your real estate agent, the final decision is always yours to make. We suggest that you create a list of questions that you would like to ask the real estate agent. Doing this ahead of time will help you feel prepared and ensure that you don’t miss anything along the way. Keeping your focus during the meeting is important for clarity. Questions you may want to ask include the following but be sure to add your own. How many buyers have you helped successfully? Do you also represent the seller? May I see some reviews or recommendations? How much notice will I receive when an open house is available?